As anyone who has visited Italy can attest, one trip is never enough. 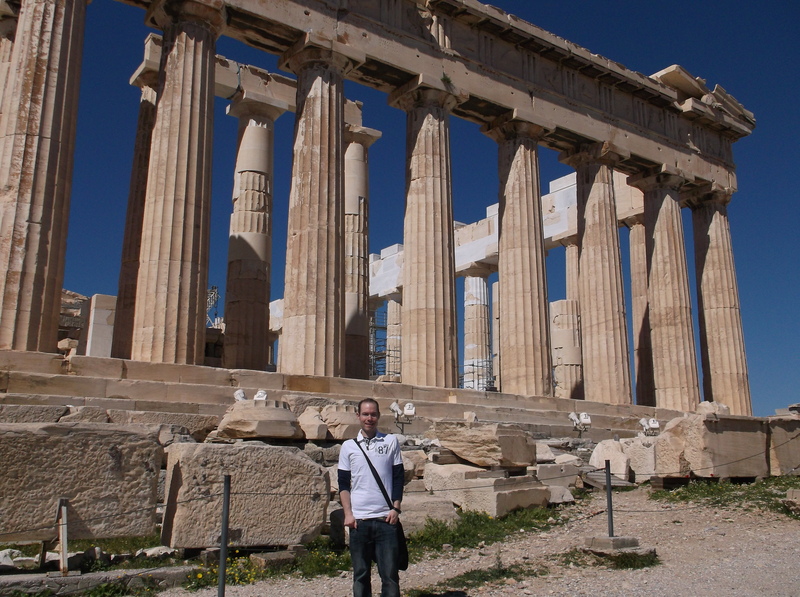 After my first visit in 2008, I had to return as soon as possible. I took a day off work for a four-day weekend in January 2010 to explore more of Rome. While Rome will never fall on a list of my top 25 cities I’d want to live in due to the constant chaos of people everywhere, I must say that the second visit was more enjoyable than the first. For one, I wasn’t spending my first Christmas away from my mom back in the States. For another, I was able to focus on Rome. Thanks to Ryan Air, I had an all too-early flight, but it was worth it when the plane arrived at Roma Ciampiano. I was back in Italia for more pizza, pasta, gelato and practising Italiano. One of the first things I did was a return visit to the Vaticano to see the St. Peter Basilica without being rushed in and out during a Midnight Mass. I was impressed with the architecture and beauty of it all. While I am in general opposed to the Church using money to build extravagant churches instead of helping the poor, I have to say that the basilica left me astonished. I may not have felt the presence of God like I do in smaller churches (I refer to the quiet stillness one feels in older cathedrals around Spain as God’s presence). I also went to Ostia Antica, an archaeological site outside of Rome. I was wanting to visit Pompeii, but time and money wasn’t going to permit that trip this time around. (It’s on my bucket list though). It was once the seaport to Rome, but over time it now lies 3 kilometres from the sea. Seeing these ruins was an awesome thing, and I was able to learn quite a lot about Roman history here. Then a gelato on the nearby beach made the day perfect. I also managed to find my way back to Fontanta di Trevi many times, of course. This trip was more relaxed, and I got more out of it, just roaming the cities and not having to rush from place to place, monument to monument, as I could explore the streets more than the attractions this time around. I love roaming around city streets and spend most of my travel time doing this than doing a walking tour of 5000 monuments in 20 minutes. However, it would be my third trip to Italia in 2012 that is by far my favourite. I know I just typed a few paragraphs above that the chaos of Rome is a major deterrent to my enjoyment of the city. However, it was the Puente de diciembre of 2012 when I went to Milan and fell in love with the city. Milan is the Italian fashion and finance capital. It has over a million people and one of the world’s busiest airports. Chaos. But for whatever reason, Milan spoke to me. The Duomo (Cathedral) of Milano is very impressive, and I had so much fun window shopping at Dolce and Gabanna, Versace and all the other shops of the big designers. In Italia, window-shopping is an art, as I get the impression that if you enter the store, they’re going to expect you to purchase something. I’m not going to buy a 300€ pair of boxer-briefs, let alone a 3000€ suit, no matter how pretty it is. However, just walking around this neighbourhood was exciting. I did make a purchase of a 15€ sweater/jumper at a shop close to the Duomo. One of my biggest questions about Italia is that with how amazing their food is, they still have McDonalds. C’mon! And so close to the Duomo? On a last-minute whim, I purchased a ticket to see The Last Supper, which I am glad I did. After my 2008 trip when I was like “Ok, I’m not paying money to museums like this again”, I went back on my word, thinking that I might regret being so close without ever seeing it. Il Cenacola/L’ultima cena is painted on the wall of the Santa Maria delle Grazie church, and most of the time, you have to book tickets months in advance. I lucked out. During WWII, the world almost lost this amazing painting as the refractory where it’s located was bombed. The wall in which it is painted remained standing, although there is obvious damage to the painting from being so close to the bombs. There are constant restoration works, and there are a series of doors that open and closed to control the air allowed in. A Spanish family who was on the English tour with me (my Italian unfortunately is only at an A2 level) were quite grateful that I was able to translate the important parts they didn’t understand for them. My high school Spanish teacher was right. You never know when you’ll be able to use your español. The mansion was actually owned by the dell Capello family, but it is not such a stretch of one’s mind that it could be the Capulets. The best part of the trip was when the snow began to fall in the late afternoon as I was breaking Italian tradition and having a cappuccino in the afternoon. (Italians don’t drink cappuccino after 11, or so they say.) It was too cold for gelato. I had missed the snow so much, and it gave the city a more romantic feeling. On Saturday, my original plan was to go to Lago di Como, but I wanted to stick around Milano more to explore neighbourhoods I hadn’t been to. I went to the canals in the south part of the city and to a market in the big park. And I had more pasta and went for more window-shopping. All in all, the third trip to Italia was the charm, and I am hoping for my fourth trip to happen in early 2015. I know I’m breaking the tradition of going every two years, but…now I just have to decide between more of Northern Italia (Cinque Citte, Turino, Genoa) or explore the charms of Sicilia or Napoli (although the mafia does frighten me a bit in Napoli!) Italia is a place I will return to time and time again. Guadalajara. Not just in Mexico. When someone talks about Guadalajara, chances are they’re referring to Mexico’s second largest city, unaware that there is a city and province that gave the more famous one its name. Castilla La Mancha has four provinces, and two of them lent their names to bigger cities in the Americas, as Toledo also gave its (very butchered pronunciation) name to the real mistake on the lake in Ohio. (Cleveland just has burning rivers. They don’t have toxic algae in 2013, folks. My hometown is about halfway between the two, but Toledo, Spain, is my Spanish “village”. Lying just north of Madrid, the province of Guadalajara is a treasure of medieval villages, beautiful scenery and the “pueblos negros”, villages made of slate. Most of the time, Guadalajara just serves as a dot on the motorway/highway that connects Madrid, Zaragoza and Barcelona. While I haven’t visited the capital city, I have gone on hiking excursions, visited some of the most special villages in the World’s Greatest Peninsula and seen the great pueblo named Sigüenza. The entire province only has around 250,000 people, and the capital city is much smaller than the famed Mexican location with only 85,000 people. Guadalajara comes from Arab, meaning a stream bed or valley of stones. The name applies. My first real visit to the province came in 2012 on a hiking excursion with my gym through the hills in the Parque Natural del Barranco de la Hoz del Río Dulce (Natural Park of the Ravine of the Hoz of the River Sweet). I have fond memories of this hike, despite not knowing anyone as most of them were from the other branch of the gym, and I tend to not speak to anyone at the gym due to my shyness. I’m there to get fit, not have a conversation. The hike lead us through stunning scenery, and the grass was green, despite the typical arid climate of the region. There were a few sparsely populated villages along the way, but most of the trip was through the scenery. We stopped a few times on the bus ride back to Madrid to take pictures of the ravine (and for a relaxing café con leche, you know those madrileños like their relaxing cafés con leche!). My second trip came the weekend of San José in March 2013 on a very rainy Saturday. Sigüenza is about a two-hour train ride north of Madrid, so I woke up early to catch the train. While the city is beautiful and on the Ruta (Trail) de Quijote, a rainy Saturday in March is not the best day to go. Silly me buying the ticket in advance on Renfe to take advantage of the cheaper, unchangeable fare! I still loved the city. The Parador is enchanting, and the medieval feel of the place made me feel like I was stepping back in time. The third trip was another excursion, this time with a group of gay Christians (Crismhom) of Madrid, to a place that had been on my Madrid Bucket List for quite sometime but is quite inaccessible without a car. The Pueblos Negros! These are small villages in the heart of the wilderness of Guadalajara made entirely of slate, similar to Patones de Arriba in Madrid. While not many people live there, the villages are a popular day trip for madrileños and as there is a lack of public transport, there are not as many tourists as there are in other medieval gems like Toledo and Segovia. The actual castle (this one is nearby, as I didn’t have any pictures of the actual one. I want to kick 2012 me for not labeling my photos more carefully.) is more impressive and was fought over for centuries by the Catholics and the Muslims, and its location high upon a rocky hill means it can be seen from kilometres away. The ravine of the Río Dulce offers some spectacular views, but the Parque Natural is best seen on foot. It borders the municipalities of Algora, Mandayona (Aragosa), Mirabueno, Saúca (Jodra del Pinar), Sigüenza (La Cabrera y Pelegrina) y Torremocha del Campo. The small medieval town of Sigüenza, population 5000, is a charming hamlet not far from the autopista that takes you from Madrid to Zaragoza from Barcelona and is well worth the pitstop. It boasts an impressive cathedral which houses the sepulchre of Martín Vázques de Arce, named the Doncel de Sigüenza by the Generación de ’98 and is an example of Spanish Medieval art. The medieval flare adds the beauty of the city. 60 kilometres or 37 miles north of Madrid, you can find the capital of the province Guadalajara. Although the main cathedral is in Sigüenza, Guadalajara has many churches, including the “co-cathedral” St. Mary. It also has a river, Henares, with several interesting bridges, and it has several parks. 45 km or 25 miles from the province capital lies the medieval town of Pastrana. The Princess Éboli (NOT EBOLA) was imprisoned here by Felipe II in 1573 at the Palacio Ducal. Rumour has it she was allowed to look out the window for an hour a day on the town’s plaza, giving it the name Plaza de la Hora. The village has a population of around 1000 people today. Without a doubt, Spain is my favourite country and the place that feels most like home, despite not being born here. I have intentions of staying in Spain indefinitely, finding me a nice, intelligent, witty, cultured and cute Iberian Boy to settle down with and raise golden retrievers with when we’re not exploring the world together. However, that quote that I often refer to, if you want to make God laugh, tell Him your plans, is oh-so-true. If I ever had to leave The Best Peninsula in the World (Iberia, duh! ), I would hope a plane or boat straight across the Mediterranean to another charming peninsula, the one shaped like a boot, that oh-so-gorgeous Italian peninsula. Growing up, like so many people, I always dreamed of one day travelling to Italy. There is something about the food, the culture and, of course, the history that beckons us to visit. In university, when I found out that learning a third language would help my case when I made my Spanish minor a major, I immediately decided on Italian. I only have a A2 level, but with my Spanish and now Catalán background, when I find myself in Italia, it comes flooding back to me. And I have already found myself in Italia three times in my six years of Spanish living. My first Christmas living in Spain, I took off to Italia for the holiday. 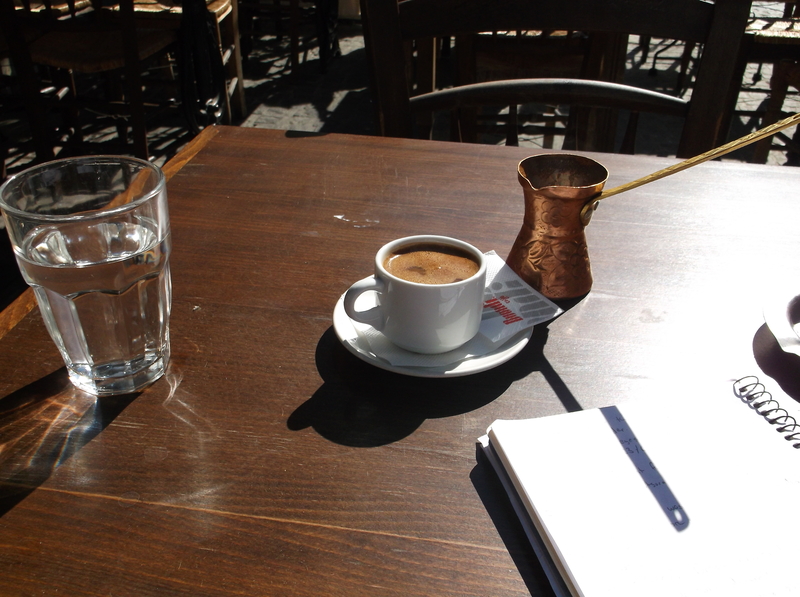 At that time, I was pretty naïve about European travel. I thought “Oh, flying from anywhere in Spain is okay!” I was living in Linares in Andalucía and flew in and out of GIRONA. This meant an overnight bus trip from Linares to Barcelona and an overcharged bus from Barcelona to Girona. I also thought that travelling in Italia would be cheap and 700€ would go a lot farther than it does. Ay yi yi, youth. Christmas 2008, my Italian dream came true. I flew from Girona to Pisa. I had read the AAA guide book to death about Italia and thought I knew how the bus system worked. I read the directions to the hostel over and over and was so eager to try out my Italiano. I didn’t understand much, especially after my ear had spent the last three months trying to make andaluz into understandable Spanish. I somehow made it to the hostel, which was quite close to the Leaning Tower of Pisa. 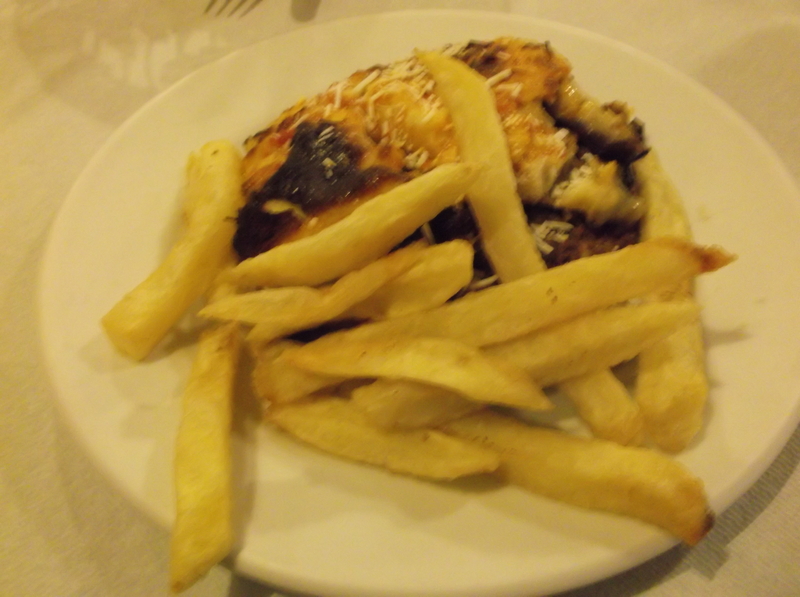 At the early hour of 20:00 (8 PM) , I found myself having my first Italian meal. I’m pretty sure it was pizza. Pisa is a small town without much to see other than the Tower. At the time, I didn’t even know that you were supposed to take the photo pushing the Tower. My biggest travel regret ever is not paying to climb the tower. I figured that with Ryan Air, Italia would always be there and I’d be back soon to climb it when I was well-settled into Spain and had some money. It could be something I could do one day with that strong Iberian lad that is still out there waiting for me to conquistar his heart. Since then, if there is something like that, no matter how many touristy it is, it is well worth the money to go ahead and do it than have that regret in the back of your mind. I was feeling disappointed by Italia at that point in time. Pisa was not the best introduction to Italy. Another thing I learned that first trip is to pack lightly. I had a huge suitcase that I had to lug to the train station so I could go to Firenze (Florence). 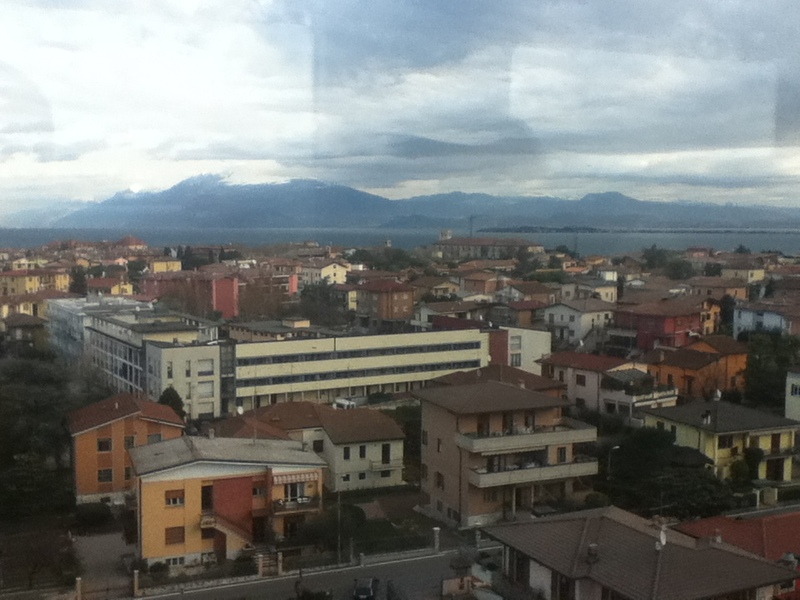 The train was about an hour, and I felt a rush of excitement listening to all the Italian on the train. I tried to pretend I was Italian, but reading in English gave me away. I fell in love with Firenze over the next few days. I paid the money to see the Davide at the Galleria dell’Accademia, ate a ton of great pasta, pizza and gelato, went window shopping and crossed the Ponte Vecchia a million times. My friend from a Mariah Carey message board came down from Genova my third day in Italia to show me places in the city I would have never found on my own. Firenze and Pisa are second on my list of places to return to after that return trip to Greece I have waiting for me. The next stop was Rome. Rome will never be a favourite city of mine because it feels more like an amusement park than an actual city. It is chaotic, and at the same time it is a city that everyone must see at least once in their life. I’ve been there twice now, and all those coins I’ve thrown in the Fontana di Trevi must ensure I’ll be back one day. (I am absolutely, positively obsessed with the Fontana di Trevi. La dolce vita a tutti!) My first stop that first visit was to the Colosseum, which is as amazing and beautiful and touristy as advertised. I saw the Sistine Chapel and was mesmerized by the immense work. (I also wanted to smack the idiots taking photos of it, but the security guards berated them before I had the chance. It says no photos because any type of picture will ruin it. The Musei Vaticani should have lockers to place all electronic devices. Seriously. Respect the rules, folks.) I had gelato on a cold day in the Piazza di Spagna. American nuns encouraging men to fight with Italian nuns who would probably win. This is Italia, la dolce vita. After four days in Rome, I had a long train to Milan that arrived late. I didn’t spend much time in Milan, just seeing the Duomo, and I’ll write about Milan in a future entry about my next trips to Italia. The first trip left me cold and wanting more. I then made my way to Venice to end this first 10 day trip to Italia. It was also cold in Venezia, but nothing prepared me for the fairy tale atmosphere of the city. The canals made the city even colder, and as I crossed the Gran Canal to get lost in its maze of streets and canals, I ducked in several cafés to order cappuccino to warm up. Another regret was not taking a ride on the gondola, but my bank account and wallet were just out of money. This first trip opened my eyes a lot. It taught me more about myself, having to get by in a country whose language I only spoke the basics of. It taught me a lot about budgeting. And it taught me that less is more, especially when packing for 10 days abroad. Now I am more likely to go to a country for less time and focus more on a few major places than try to cram in an entire country in 10 days. I’ve since returned to Rome to see more of it (they say three months in Rome sightseeing every day won’t give you enough time), and returned to Milan and went to Verona….to be continued. And yet I feel that I have just scratched the surface of the world’s second greatest peninsula. Viva la bella Italia. Granada is my favourite Spanish city that I can actually call Spanish and not offend everyone, although fourth favourite city in the part of the Iberian peninsula lying between Portugal and France/Andorra. My two favourite cities are Basque (San Sebastián-Donostia and Capital of the World Bilbao and Catalán Barcelona.) Granada is one of the most enchanting cities I have ever visiting, and I try to route any trip through Andalucía so I have at least one night in this enchanting city. I’ve been here a total of four times now, and each time I find something new to fall in love with. My first time was in February 2009. I used a four-day weekend to explore the town and forget about being single on Valentine’s Day (really, Spain, this is one holiday you can let the guiris keep, you’re better off without San Valentín.) I immediately fell in love with the city of 237,000 people. My favourite part was by far the labyrinth of the Albayzín, a cluster of small streets that keep their strong Arab influence. (Granada was the last Muslim holdout to fall to the Reconquista of the Catholic Kings in 1492, the most epic year of Spanish history. For that reason, Granada still has a very Arab feel to it.) My hostel was at the heart of this part of town, and I explored it as much as I could, always getting lost. However, in Granada, getting lost is half the fun. I was lucky as I knew someone studying at the Universidad de Granada who could show me around. This is how I discovered the best part of Granada: watching the sun set over the Alhambra palace from Mirador de San Nicolas. This lookout is always full of people, and 95% of the time they are singing flamenco. My friend also showed me the university and went with me to tour the Alhambra. I took off on Sunday to the Sierra Nevada, not because I wanted to go skiing but because I wanted to play in snow. Finally, finally, finally, I had snow. There was a traffic jam going up the hill to the mountains, and Spain being Spain, there managed to be a Osborne toro on the highway. Five years later I still remember the fun I had seeing snow and feeling at home. I went back to Granada a few months later on my way back from Málaga and spent the night just to have an excuse to see the streets once again. My third time was 2.5 years later (I’m getting old) in December 2011 on the way back from Almería. The city still charmed the pants off of me. My fourth time was on the way back from Ronda in June 2013, as I knew by moving to Bilbao it would be harder for me to go to al-Andalus. Each and every time, the city enchants me (enchanting is the best word and most used English word, encantador being the word in Spanish) and leaves me waiting for the next trip. While the vast majority of the province awaits my exploration, the city is amazing enough to have no shortage of meravelles. I know the city has been written about a million of times, but whatever. I love it, and I want to go back again soon, whenever I have money to go to al-Andalus. Two meravelles await me my next trip. The Alhambra is Granada’s main tourist attraction, and while we all know I like to avoid touristy stuff, this one is worth the admission price and the long waits to see. The Alhambra began as a Moorish fortress in 889 and was rediscovered and rebuilt in the mid-11th century and later converted into a royal palace in the 13th Century. 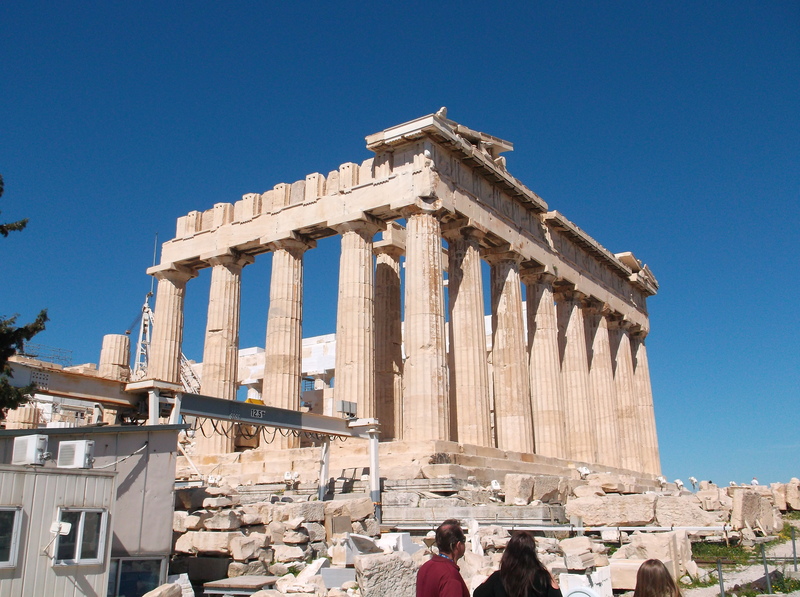 It’s a UNESCO World Heritage site, and it is a must-see attraction for history buffs. 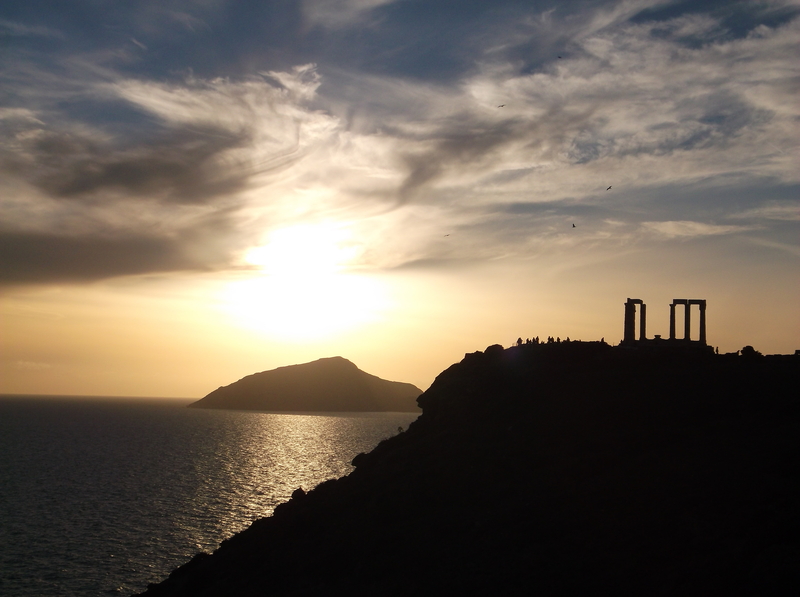 Hands down, one of the best places in Spain to watch the sun set. 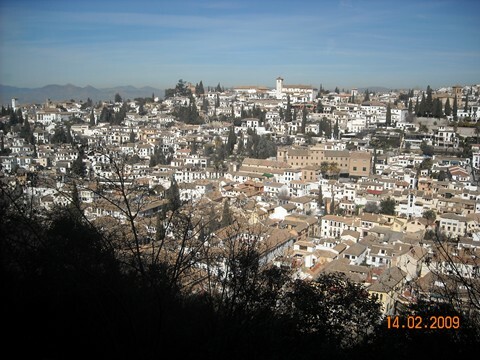 It’s located in the Albycín barrio directly across from the Alhambra and offers stunning views of the Arab palace. There is almost always someone playing flamenco, and it is always crowded with locals and tourists alike. The sun setting over the Alhambra is a site for romantics everywhere. One of the most popular and well-known barrios in all of Spain, the Albycín is a maze of small streets. One of the streets you can take to get here is the Calle Calderería Nueva, which has many Arab shops and restaurants. Most of the buildings are white, and you never know when you’ll come across a plaza or a fountain. One of the easiest places to get lost even with a map. The Sacramonte is a barrio de gitanos (gypsy barrio) set apart from the rest of Granada. The neighbourhood is beyond the Albycín, found by following the Río Darro. Many of the houses are built into caves on the hill. It wasn’t until my third trip to Granada when I finally discovered this place. A gypsy invited me into see the house, which she had open to the public, and then tried to sell me beer (I hate the taste of beer. Wine is better.) for about 3€. This is Andalucía…beer is a Euro, I think! The Sierra Nevada mountains are stunningly beautiful. The ski station is about 45 minutes from the city, but as I don’t ski, I went just for the opportunity to play in some snow. It was well worth it for the views alone. Salobreña is a town of 12,000 people located on the coast of Granada, complete with a castle and a 6000 year history. It’s off the beaten track between the beaches of Málaga and Almería (Granada has beaches too!). 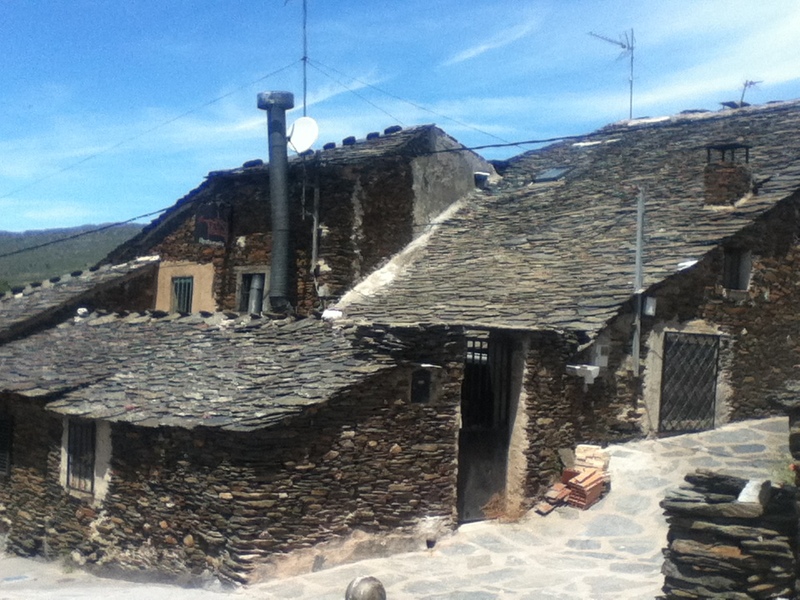 La Alpujarra is a mountain range in the southern part of the Sierra Nevada. 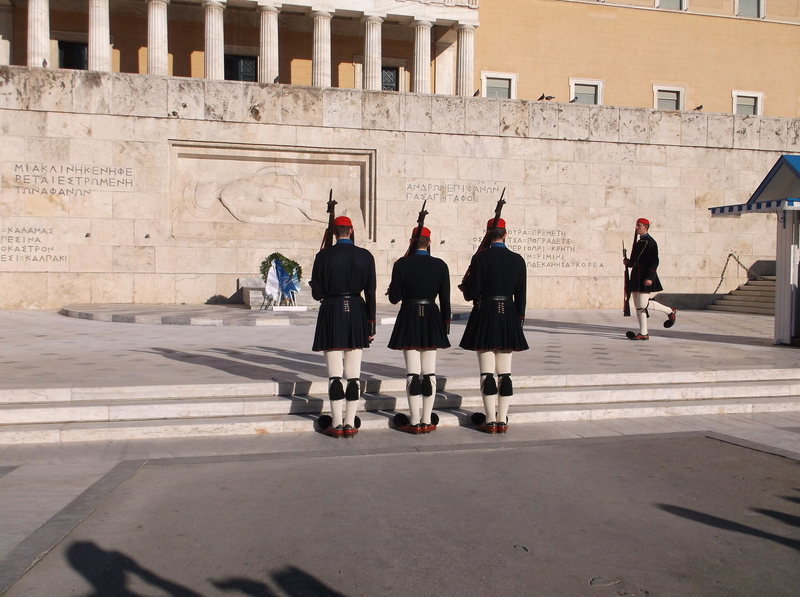 It is the subject of Gerald Brenan’s South from Granada (and the film based on it). The isolation of the area has kept it from progressing as quickly as the rest of Spain, and many people have left the villages to find work elsewhere as the economic crisis has hit the area hard. Still, one day I would love to explore this beautiful region and find out more about it for myself. For more on this region, check out Con Jamón Spain’s blog…someone who actually lives there and is quite informed on the region. When one thinks of Catalunya (no one who actually knows anything about Spain, besides George Orwell, will call it Catalonia), they will probably think of the capital Barcelona, the beaches of Girona, the mountains of Girona, the beaches of Tarragona or Salou and Portaventura in Tarragona (especially if they’re Basque.) They’ll think about the current controversy about their independence or the best football team ever, FC BARCELONA. (I am a bit more for Valencia, but I am also a diehard Barça supporter.) Dali will come to mind. But I doubt Lleida (Lérida in Spanish, but usually known by its Catalan and official name, Lleida) will be in the top 5 places mentioned. 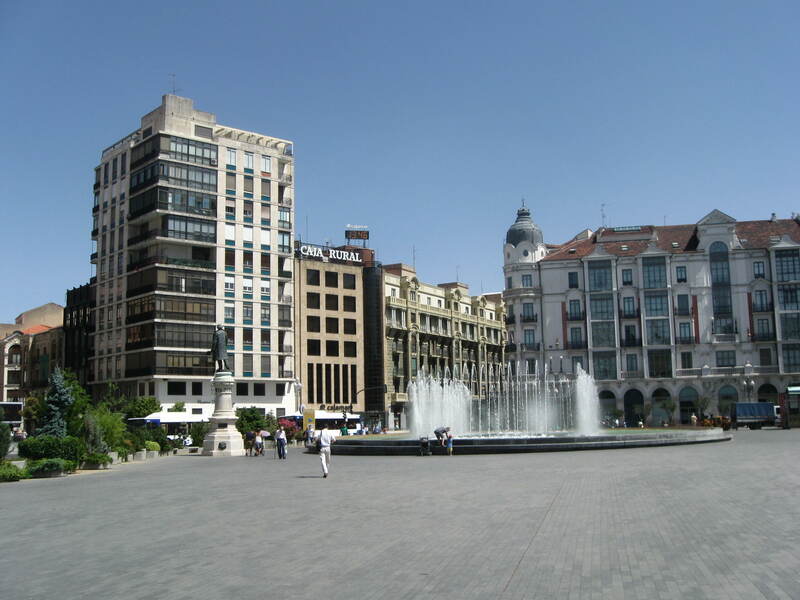 Lleida capital is a city of about 140,000 habitants and can easily be seen in one day. It’s a bit far and expensive to do in a day-trip from Barcelona, but it makes a great pitstop along the way to Bilbao, Zaragoza or Madrid. It has a lot of green and a lot of history to explore. As I love my undiscovered gems, Lleida had always been on my mind as a place to visit, especially in my quest to visit every province in Spain. In September 2013, I had my opportunity to visit the capital city on my way back from my annual visit to Barcelona. After struggling to find an affordable place to eat on a Sunday afternoon, I checked into a super nice (for the price) pensión. I think it was the Hotel Goya, but I’m not 100% sure. I dropped my stuff and went off exploring. I first found the Seu Vella, the old Cathedral, which is a cathedral that was also used as a fortress, which is on a hill overlooking the town. The trek up here is worth it as it offers spectacular views of not only the city but also the country surrounding it. They also have the Seu Nova, the new Cathedral, which isn’t “new”, just newer, built in the 18th century. I later made my way through the Casco Viejo and took a stroll along the Riú (River) Segre. I remember watching dogs play and ducks swim in the river. I tried practicing my catalán as I could. The surrounding province appeals to me, and I know of many places in the province I want to visit in the future. I think most of the Set Meravelles of Lledia have yet to be discovered. One day, when I’m a rich and famous writer, I’ll be able to explore as I wish! 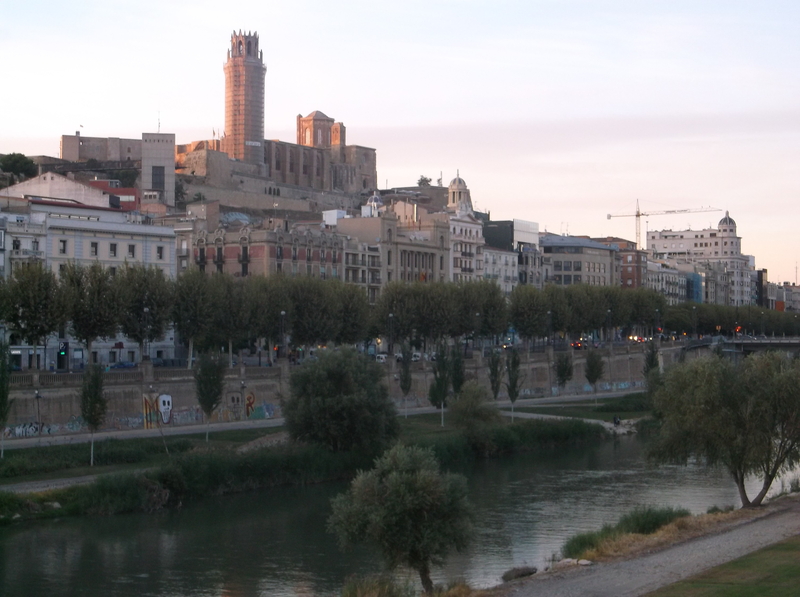 Lleida capital is a small city with beautiful architecture, a river and tons of history. It is also your best bet to stay to explore the rest of the province. Also known as the Castell (Castle) of Lleida, the old cathedral is a beautiful medieval building that took over two hundred years to build, from 1203 to 1491. It’s located on top of a hill that offers amazing views of the city and surrounding country. It’s part of the Route of 1714 that shows the most important historical sites of the War of Spanish Succession and the most important site of Lleida city (in my humble opinion). Felipe V used it as a fortress when the Seu Nova was commissioned in the 1700s. The River Segre is a tributary of one of the most important Iberian rivers, the Ebro, and flows through Spain, Andorra and France. There are many bridges that cross the river in Lleida that connect the two sides of the town. Like most cities with rivers, there are many pathways to walk, run, bike and allow dogs to play, and the river plays an important part in the city’s history. The Valley of Aran is the only part of Catalunya located north of the Pyranees and they have their own language, Aranese, which they speak over Catalán and Spanish. It is home of many endangered animals, and the largest village is Viehla with 3000 residents. The entire valley only has about 7000 residents. I can’t wait to have the opportunity to explore (and write about) this valley. The comarca borders France and Aragón and is in the extreme north of the province. The Boi Valley is another valley that is located in the northwest part of the province. It is home of nine Romanesque churches and was named a UNESCO World Heritage site in 2000. It’s also home to the highest ski resort in the Pyranees, It’s not far from the Val d’Aran, but it is smaller in population with only 2000 people in the valley. La Seu d’Urgell is a small town of 12,000 people located on two rivers, the Segre and the Gran Valira in the Pyranees. Close to the historic centre is a park built for the 1992 Olympics where you can still canoe and kayak today. 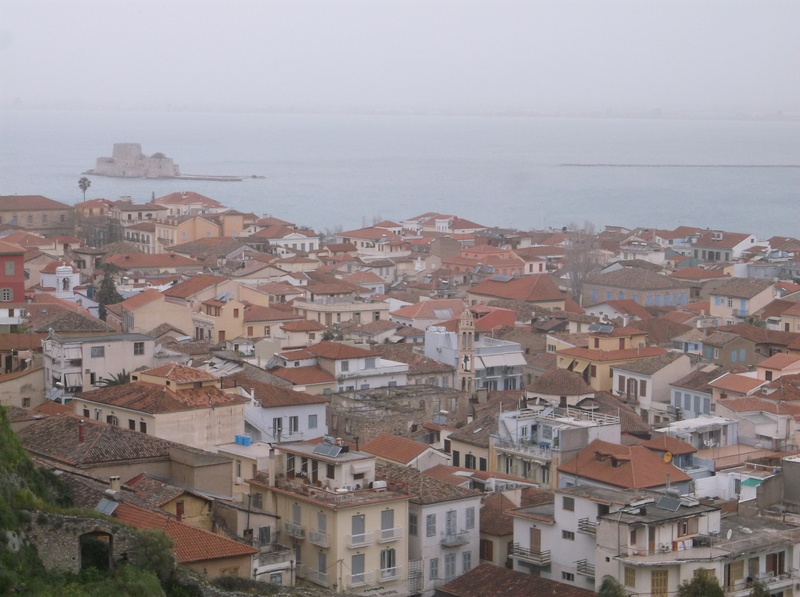 It’s one of the biggest towns in this part of the Pyranees. Valladolid is not a name familiar to most people who visit Spain. It’s a rather small province and capital that stays out of way of more famous nearby provinces like Segovia, Ávila and Salamanca in the comunidad autónoma Castilla y León, although it is the de facto capital of Castilla y León. Granted, every September, the small village Tordesillas makes news for their controversial traditional slaughter of a bull (different from a normal bullfight, which most Spaniards would also label “slaughter”, but that’s neither here nor there) during the Torneo del Toro de la Vega. Other than that, Valladolid is known for having the “purest” dialect of Castilian Spanish. As my university has a graduate program exchange with the University of Valladolid, I knew of this province about 200 kilometres north of Madrid long before my arrival in the greatest peninsula in the world. My trip to Valladolid came in August 2012. Valladolid is one of those provinces that is very hot in the summer and freezing in the winter. On the Friday in August when I went, it was 35º Celsius (95ºF). I first stopped in the medieval village Medina del Campo, which was preparing for their medieval festival that weekend. I stopped off for my usual café con leche y tostada con tomate and explored the town before hiking up to the impressive Castillo de la Mota. I had seen the castle from the bus on the way to Asturias the previous year and had wanted to go there ever since. It was well worth the wait and the visit. I had to catch the 12.44 train to Valladolid capital, so my time at the castle was unfortunately cut short. It’s a short train trip from Medina del Campo to Valladolid, so I arrived in time for lunch. I was catching the last bus to Madrid that evening, so I had plenty of time to explore the city of 300,000 people. Needless to say, I was impressed. I found the Plaza Mayor much nicer than the one in Salamanca, and the city itself seemed to me a pleasant mix of Castilla and surprisingly, Bilbao. Perhaps it comes with speaking the “castellano más puro”, but the city had a taste of elegance and sophistication. People seemed to dress up a bit more here than in Madrid, and the cafés had a flair of modern posh style. My favourite parts of the city include the Plaza Mayor and the park Campo Grande (literally translated to “Big Field”. Things sound better in Spanish.) I also enjoyed a walk along the river. As Valladolid couldn’t be more landlocked, they’ve turned part of the river into a beach. There are a lot more things to see and discover in Valladolid, as it is a province rich in nature and history. The Catholic Kings Fernindad and Isabel were married there in 1469, and Christopher Columbus died there in 1506. (Apparently the people of Valladolid like to be the centre of controversy.) The Castilian Kings called Valladolid their home in the 15th Century, and Felipe III made it the kingdom capital from 1601-1606. For the foodies (which I’m admittedly not. I could eat tostada con tomate and paella valenciana (chicken and vegetables) every meal), the typical dish of the region is lachazo, or baby lamb. 45 kilometres from the province capital, Medina del Campo is a medieval small city of 22,000 habitants. “Medina” is arabic for “city”. It still has a few remains from the old walls around the city. The most famous attraction is the Castillo de la Mota, located on an artificial hill (mota) just outside the city. Cesare Borgia was a prisoner here at one time and was restored during the Franco era due to its ties to the Catholic monarchs. The Campo Grande is a beautiful park over 300 years old in the centre of the city. It’s in the shape of a triangle and is the home of many birds, including lots of peacocks. It’s a nice place for shade during those hot summer afternoons. 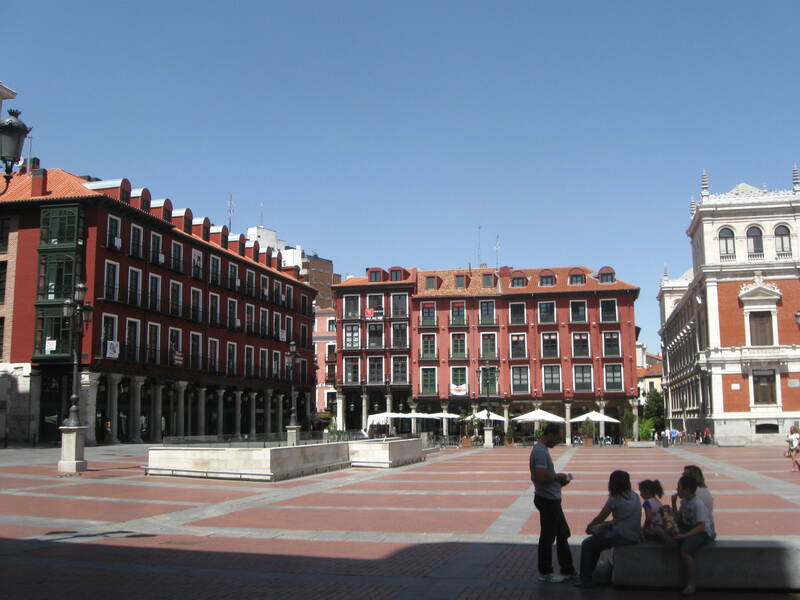 The Plaza Mayor of Valladolid has two siblings, the Plaza Mayor of Salamanca and the Plaza Mayor of Madrid with its relaxing cups of café con leche. Its origins date back to the 13th century and is home to the ayuntamiento (city hall). After being destroyed in a fire 1561, King Felipe II hired architect Francisco de Salamanca to redesign it. It was later used as the model for the Plaza Madrid in Salamanca which influenced the Plaza Mayor in Madrid. Although I was here before the Madrid mayor’s infamous “open mouth, insert foot” comment, I did have a café con leche here. I still have yet to do that in Salamanca’s or Madrid’s. Valladolid is home to many beautiful churches, including their unfinished cathedral (they lost the funding to finish building it due to the capital being moved from Valladolid to Madrid in the 1500’s). Only half the church from the original design was built. San Benito, San Miguel, San Pablo (¡Vivan los Pablos), El Salvador, Santiago, Santa María la Antigua and San Juan de Letrán are some other interesting churches in the city. The Duero River is the third longest in the Iberian peninsula and flows through Valladolid. It flows through five provinces of Castilla y León (and through Portugal to Porto). Valladolid has turned its banks into a beach at one part, and it provides a great walk through town. The University of Valladolid is one of the oldest universities in the world, established in the 1241. It is still an important Spanish university, although it doesn’t have quite the fame as neighbouring Universidad de Salamanca. While the village of 9000 people is more infamous today for its controversial festival, Tordesillas once played an important part in world history. The 1494 treaty between the Catholic Monarchs and Portugal was signed here which stated where Portugal and Spain could and couldn’t colonize. It still has a castle and appears to be worth the time and effort to visit one day.